Having properly inflated tires is crucial to your safety. When there’s too much or too little air pressure inside them, traction could be compromised. When that happens, it could become dangerous to drive around Stratham, Portsmouth, or Exeter. That’s why it’s important to know how to check tire pressure, so that it can be done regularly.  Continue reading through our informative guide and contact us at BMW of Stratham if you have any questions. 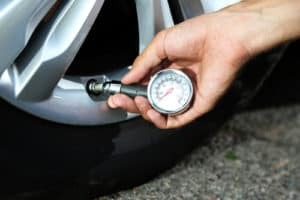 In order to check tire pressure, you should have a tire pressure gauge, along with a pen and paper to write down the PSI (pounds per square inch). You’ll also want to use a proper air compressor, which can be found at most gas stations. You’ll want to make sure that the tires are cold. This means that the vehicle has been parked for three or more hours, or it’s been driven less than a mile at a moderate speed. Check the manufacturer’s recommended PSI. The numbers for the front and rear tires will be found on the driver’s door jamb or in your owner’s manual. Write down the PSI for each tire.If the front and rear tires need different tire pressure levels, then you’ll want to write down the correct PSI for each. This is to make things easier when you’re moving around the vehicle checking tire pressure. Use the gauge to check tire pressure. Remove a valve cap from one of the tires. Place the pressure gauge on the valve stem, and press down hard enough so that the hiss sound disappears and you get a proper reading. The air pressure will push a small bar out from the bottom of the gauge, which tells you the current PSI. Fill tire to the recommended PSI.Use the air compressor to refill the tire that’s low on pressure. Then, use the gauge again to check the PSI, and keep filling the tire until you get to the proper number. You’ll want to check the tire pressure monthly. This is to ensure that the tires never dip below the recommended PSI. Generally, tires lose between two and five pounds a month. That’s why you want to check them that often. However, temperature can cause the tires to lose pressure more frequently. For every ten degrees Fahrenheit, tire pressure will adjust by one PSI. In most parts of the country, the difference between average summer and winter temperatures is about 50 degrees Fahrenheit. This means that the tires will usually drop five PSI during the colder months. That kind of drop will affect traction and handling, along with durability. That’s why it’s recommended to check tire pressure more frequently during the wintertime. That’s not to say you don’t need to check in the summertime. When it’s hot out, pressure will increase inside the tire. If the tire is overinflated, the increase in pressure causes the insides of the tire to be stiffer than normal. When that happens, traction is reduced, and uneven tire wear will occur. So, you’ll want to avoid having overinflated or underinflated tires. When they’re at the PSI that’s just right, you can rest assured that the tires will continue to provide optimum traction on the road. If you want help with checking tire pressure or need a tire repair or replacement, don’t wait. Be sure to schedule service at BMW of Stratham as soon as possible. 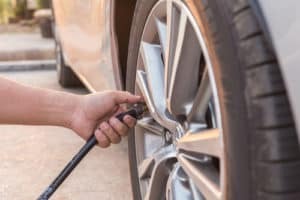 Our team will get your tires in top-quality condition to help keep you safe when driving around Stratham, Portsmouth, or Exeter.